We could just sit and take in the aroma of this Pumpkin-Caramel Spice Latte all day. (It's that good!) That said, sipping this coffee-shop favourite at home is even better. Add milk and 1/3 cup caramel topping to empty pot of coffee maker. 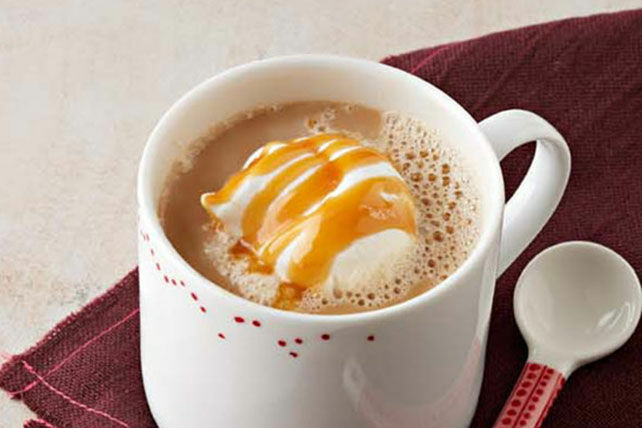 Pour coffee into mugs; top with Cool Whip and remaining caramel topping. No pumpkin pie spice on hand? No problem! Here's an easy way to make your own. For each 1 tsp. of pumpkin pie spice needed, just combine 1/2 tsp. ground cinnamon, 1/4 tsp. ground ginger, and 1/8 tsp. each ground allspice and ground nutmeg.